House of Fine Chocolates and Bakery opened it's doors in 1945 at 3109 North Broadway in Chicago. The Chicago Cultural Center (78 E. Randolph) hosts the aptly named “Adventures in Running a Creative Business”, one of the first business development activities of Crain’s Small Business Week. The seminar featuring Tom Duff, President of Optimus, Inc., Joe Shanahan, owner of Smartbar, Metro and Double Door, and restaurateur Donald J. Madia is Monday, October 1, 10 a.m. – 11:30 a.m. at the Claudia Cassidy Theater. For more than 25 years, Shanahan has owned and operated such cutting edge music clubs that he presented artists such as R.E. M. and Smashing Pumpkins in their earliest appearances and it is still the club to play an impromptu set for established stars. His insight and knowledge of talent as well as business operations, clearly contribute to Shanahan’s longevity on the Chicago music scene. Optimus is a multi-faceted creative services company specializing in film editing and post-production work with locations in Chicago and Santa Monica. It was voted one of the best places to work in Chicago by Crain’s Chicago Business and just this spring received the prestigious Hugo Excellence Award for Television Commercials. Chicago-born Donald J. Madia has demonstrated the value of collaboration in order to execute his singular vision. His uncompromising attention to detail and sense of unlimited possibility — informs some of Chicago's most admired restaurants and cocktail lounges including Blackbird, avec, The Publican, the Violet Hour and Big Star. Topics will range from permits to promotion, attracting and retaining talent, and connecting Chicago to a global creative economy. The Conversation will be moderated by Carol Roth, a business strategist and author of the New York Times bestselling book, The Entrepreneur Equation. Admission is free and the seminar concludes with a Q+A session. The third annual Crain's Small Business Week is dedicated to small businesses area-wide, offering a variety of educational and business development activities along with opportunities to create partnerships to grow your business. Broadway In Chicago and producers Whoopi Goldberg, Stage Entertainment and Troika Entertainment are thrilled to announce casting for the North American Tour of five-time Tony Award® nominated musical SISTER ACT, starring Chicago actress Hollis Resnik as Mother Superior and Ta’Rea Campbell as Deloris Van Cartier. SISTER ACT will play the Auditorium Theatre of Roosevelt University (50 East Congress Parkway) Nov. 13 – Dec. 2, 2012. In addition to Ta'Rea Campbell (Book of Mormon, Lion King) as Deloris Van Cartier, Hollis Resnik (Dirty Rotten Scoundrels, Les Miserables) as Mother Superior, the North American Tour of SISTER ACT will feature Kingsley Leggs (Sister Act, The Color Purple) as Curtis Jackson, E. Clayton Cornelious (Wonderland, The Scottsboro Boys) as Eddie Souther, Lael Van Keuren (Sister Act) as Mary Robert, Florrie Bagel as Mary Patrick, Diane J. Findlay (42nd Street, Promises, Promises) as Mary Lazarus, Todd A. Horman (Priscilla Queen of the Desert) as Joey, Ernie Pruneda (Sister Act) as Pablo, Charles Barksdale (Fat Camp) as TJ, and Richard Pruitt (42nd Street, White Christmas) as Monsignor O'Hara. The company will also include Melvin Abston, Brian Calì, Alysha Deslorieux, Karen Elliott, Danny George, Blair Goldberg, Erin Henry, Wendy James, Trisha Jeffrey, Mary Jo McConnell, Ashley Moniz, Michelle Rombola, Jason Simon, Angie Marie Smith, Tricia Tanguy, Kelly E. Waters, and Dashaun Young. SISTER ACT received five 2011 Tony® Award nominations: BEST MUSICAL, BEST ORIGINAL SCORE (Alan Menken (music)/ Glenn Slater (lyrics), BEST BOOK OF A MUSICAL (Cheri & Bill Steinkellner and Douglas Carter Beane), BEST ACTRESS IN A MUSICAL (Patina Miller) and BEST FEATURED ACTRESS IN A MUSICAL (Victoria Clark). SISTER ACT features an original score with music by multi-Academy, Grammy, Tony and Golden Globe Award-winning composer Alan Menken (Little Shop of Horrors, Beauty and the Beast, The Little Mermaid and Enchanted), lyrics by Tony and Academy Award-nominee Glenn Slater (The Little Mermaid), and a book by multi-Emmy Award winners Cheri and Bill Steinkellner (“Cheers”) with additional book material by Tony and Olivier Award nominee Douglas Carter Beane (Xanadu, The Little Dog Laughed). Directed on Broadway by four-time Tony Award winner Jerry Zaks (Guys and Dolls, A Funny Thing…Forum, Smokey Joe’s Café), the production features choreography by Tony and Olivier Award nominee Anthony Van Laast (Mamma Mia, Bombay Dreams) and is based on the Touchstone Pictures motion picture Sister Act written by Joseph Howard. When disco diva Deloris Van Cartier witnesses a murder, she is put in protective custody in the one place cops are sure she won't be found - a convent! Disguised as a nun, she finds herself at odds with both the rigid lifestyle and an uptight Mother Superior. Using her fabulous disco-ness and killer voice to inspire the choir, Deloris breathes new life into the church, but in doing so blows her cover. Soon it’s nun-on-the-run time but she finds salvation in the heavenly power of her newly found sisterhood. Based on the mega-hit feature film, SISTER ACT features an original Alan Menken/Glenn Slater score with a vast inspiration of musical styles from Motown, soul and funk to great big disco anthems and Barry White inspired musical comedy. SISTER ACT features scenery by Klara Zieglerova, costumes by Lez Brotherston, lighting by Natasha Katz, sound by Ken Travis and hair/wig designs by David Brian Brown. The music department includes Musical Supervisor Michael Kosarin, Music Director Brent-Alan Huffman, and orchestrations by Doug Besterman. Casting is by Telsey + Company, Craig Burns CSA. WHOOPI GOLDBERG (Producer) is among the most well-known performers around the world. She shot to international fame with her Oscar-nominated performance in Steven Spielberg’s The Color Purple, before embarking on a prolific Hollywood career with films such as Jumpin’ Jack Flash, Soapdish, The Lion King, How Stella Got Her Groove Back and, of course, Sister Act and its sequel. She has had success in virtually every area of entertainment, from film and television, to stage and recording, to radio host and best-selling author. She won the Academy Award for Best Supporting Actress for her role in Ghost in 1991 and is one of a very elite group of artists who has also won the Grammy, the Golden Globe, the Emmy and, as Producer of the original Broadway production of Thoroughly Modern Millie in 2002, a Tony Award. She is currently moderator of the award-winning daytime talk show The View on ABC. STAGE ENTERTAINMENT USA Inc. (Producer) Founded in 1998 by Joop van den Ende, Stage Entertainment is one of the world’s largest theatrical producers with bases in the UK, the Netherlands, Germany, Spain, France, Russia, Italy and the USA, and the owner of thirty venues across those countries. Stage Entertainment employs over 4,000 people worldwide and over 10 million people visit a Stage Entertainment production or performance space each year. Headed by Bill Taylor, Stage Entertainment’s US team recently produced the hit musical, SISTER ACT, on Broadway. SISTER ACT received five 2011 Tony® Award nominations and rave reviews. Stage Entertainment US is currently producing SISTER ACT on tour in the US and has several other new projects in development for Broadway and the road. TROIKA ENTERTAINMENT (Producer) has been the innovator in touring musical theater productions for over two decades, producing shows throughout North America and the world. Each season, Troika tours to hundreds of cities across the U.S. and Canada. In addition, Troika produced in European markets including Russia, Germany, Austria and Switzerland. Central/South American and Caribbean credits include touring CATS in Brazil, Chile, Colombia, Panama, Mexico, Venezuela, Costa Rica and Puerto Rico. As the first U.S. production company to tour a musical in Mainland China, Troika has toured extensively across the Pacific Rim in Japan, Korea, Hong Kong, Macau, Taiwan, Malaysia and Singapore, with productions of The Sound of Music, Swing!, 42nd Street and Chicago. The company is experienced in casino and leisure markets having produced for The Wynn, Caesars, Grand Casino, Hilton, Eldorado and Harrah’s (Las Vegas, Atlantic City, Biloxi, Lake Tahoe and Branson). Current and upcoming productions include West Side Story, Catch Me if You Can, Sister Act, Priscilla Queen of the Desert, Shear Madness and The Wizard of Oz. With strong ties to the Broadway community, Troika prides itself on delivering top quality productions to audiences worldwide.
. For groups of 15 or more, call (312) 977‐1710. Tickets for groups of 15+ are on sale now. I've always been a fan of photographer Scott Hargis work. His advice and postings on various photography boards thru the years has earned him not only a phenomenal reputation with his peers but clients as well. His specialty is architectural photography.Interiors,sweeping outdoor landscapes that once you've viewed his images,make you want to make you start packing and shopping for a picture perfect home just like the pictures he's created. He's recently written an e-book,"The Essential Guide to: Lighting Interiors - Techniques for lighting with small flash" with his advice and techniques for getting the best images for various types of rooms. How to get the best exposure via post processing. random photos with camera setting info. In the past,I've done interior photos for many clients,but there was a wealth of knowledge here that spawned other ideas that I was able to use in a client shoot soon after studying this guide. I must admit,I am a fan of looking at interior photos of homes.My city has various upscale magazines that deal with the very high end market of condominiums and houses that sell for millions of dollars.In these types of publications,the photos are all professionally done. Yet when I see online ads and newspaper photo ads for properties being sold,it really would be in the best interest of the homeowner or real estate agent to hire a professional photographer or purchase the right equipment for the job and study these techniques. Scott Hargis book would be their perfect 'how to guide' to better and quicker real estate sales by far. You can purchase "The Essential Guide to: Lighting Interiors - Techniques for lighting with small flash" from the photographers website.It's a 108 page PDF file that can be read on your computer or mobile devices. Beginning Astrology re-scheduled: starts Sept. 24! 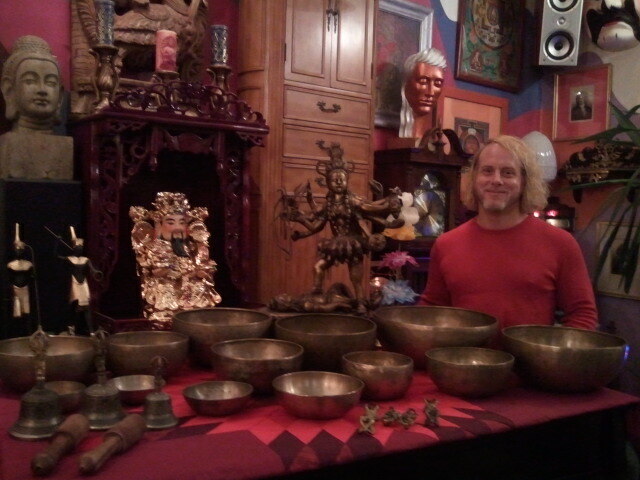 Read Edward's article about Himalayan singing bowls in Transcendent Journeys ezine. This performance features overlapping layers of sound healing modalities, including Himalayan singing bowls, ganta bells, ting shaws (cymbals), gong, and mantra. The instruments are made by Tibetan monks both as a method of healing and as meditation instruments, as part of a highly symbolic spiritual process using an alloy of at least seven metals, including pure steel from asteroids that hit the world's rooftop in the Himalayas. They are formulated by the monks to work on many planes of our multidimensional being and can facilitate emotional catharsis, the release of blocked energies, and healing from the physical to spiritual. They sound beautiful with primary notes and layers of overtones. Mantras are words of power that use the primal creative force of sound as primal emanations for affecting any facet of our universal experience. Together the instruments and mantra can function on many levels for profound effect. Edward Farnham has studied numerous spiritual and healing techniques, including Himalayan bowls and sound healing with Richard Rudis, and mantra with Thomas Ashley-Farrand and his wife, Margalo or Satyabhama, two of the world's foremost experts on Hindu mantra. Edward is a singer with the Chicago Gay Men's Chorus (www.cgmc.org) and a painter who attempts to use the creative force as a vehicle to the divine. Drumming is often called the heartbeat of Mother Earth. Drumming has been shown to alter human brainwaves to an elevated state, reduce stress, speed healing, and just be plain fun. Whether you have never played a drum before, have been drumming for years, or are somewhere in between, come join us for this open drum circle. Drums of any kind, as well as shakers, tambourines, bells, sticks, vocals, body percussion, etc. are very welcome. Some instruments will be available to borrow. Cathy McManamon is a musician who plays a variety of instruments. A ritual drummer who enjoys supporting group energy and dynamics, Cathy has facilitated open drum circles and rhythm workshops at MuseCon, scout youth and leader events, and most recently at Life Force Arts Center. Honor and commune with the ancestors and explore the many meanings of heritage, lineage and identity at Ancestors, an art exhibit running September 21, 2012 - January 8, 2013 at Life Force Arts Center gallery, 1609 W Belmont, Chicago IL 60657. Opening Reception is Friday, September 21, 2012 from 6 - 10 PM. Closing Ceremony is Tuesday, January 8, 2013 from 7 - 9 PM. Workshops, performances and other events related to the theme of ancestors will also be held as part of the show. The exhibit celebrates ancestry of various kinds: biological, spiritual, geographical, cultural, ethnic. Contemplating one's ancestors is about belonging, acknowledging or discovering who you are and how you express yourself, and understanding the primal instincts of your beginnings. Cultural expressions including art, music, architecture and fashion are connected to ancestors and their creativity over the generations. There is also the aboriginal concept that all of nature is "the ancestors". However diluted our conscious knowledge or awareness of them may be, ancestors influence us. Fear needs no introduction or definition. It is an ingrained quality in human beings. Most people accept living with fear as an inevitable outcome of being human. Fear comes in many forms. Fear of loneliness, fear of disease, fear of losing honor, fear of losing wealth, fear of uncertainty, fear of old age, and fear of punishment are some fears of which many of us are aware. The ultimate fear is fear of death. How can we live fearlessly? How can we constantly enjoy happiness and peace without having fear? What causes fear? How does it affect our lives? How can we overcome fear? We will discuss how meditation practice slowly takes to a state of fearlessness through right knowledge and understanding of our own self. Swami Purnatmananda Giri is a monk in the lineage of Kriya Yoga masters Paramahamsa Hariharananda and Paramahamsa Prajnanananda. Experience a wonderful spiritual healing with Sharyl and the Siria Family! If there is anything you want to change and improve in your life, any "stuck" places, this is the event that can do it for you energetically. You will see Sharyl go into trance and bring through the beings of light called the Siria Family, who exist on the spiritual plane. They are funny, warm and wise, and they are here to assist us in our growth, and release the blocks that are holding us back in life. Their goal is to create heaven on earth. Witnessing Sharyl channeling is truly something to behold; this is real trance work. The end of the session is a meditation led by the Siria Family. It is powerful; you will have a shift. These beings love to heal, and that is their purpose in coming. You can trust Sharyl and the Siria Family. 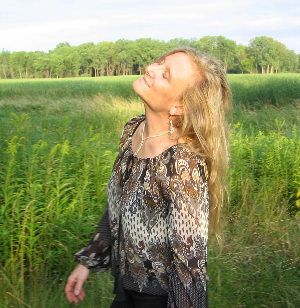 Sharyl Noday is certified as an active Full Trance Channel and Channeling Teacher, and has over 25 years of study in metaphysics, multidimensioal consciousness and paranormal investigation. Please visit www.sharylnoday.com for more information. Experience a powerful healing ritual as Shamanic Practitioners Joan Forest Mage and Kevin Seymour cleanse the chakras (energy centers) of each participant through singing and drumming. We will learn the ancient meditation technique of shamanic journeying to the spirit realm, gaining wisdom and healing from angels, ancestors, totem animals and other helpful spiritual beings. Beginners welcome, no previous experience necessary. Please wear comfortable clothing. Joan Forest Mage, founder and Executive Director of Life Force Arts Foundation, has served as a shamanic artist, healer and educator in her hometown of Chicago since 1995. Visit joanforestmage.com. 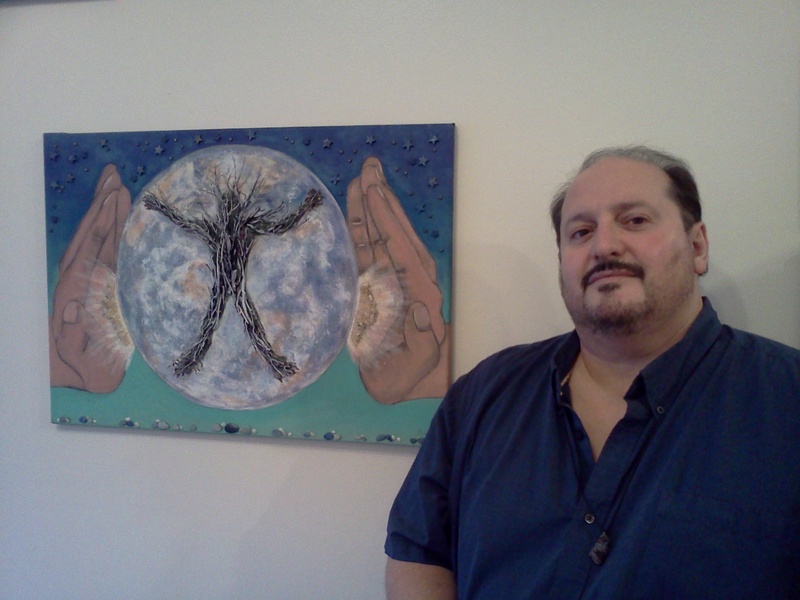 Kevin Seymour is a Reiki and Shamanic Practitioner. He has studied Shamanism through Joan Forest Mage's Shamanic Training Program. Joe Polise presents a series of classes on Forecasting with Astrology. Transits are the most popular astrological forecasting tool; while simple in concept, understanding both the salient and less obvious features of major transits is often challenging. In Transits of Pluto, we will review how the transits of this major planet influences natal horoscopes. How we distinguish orb of transit's influence, the relative "strength" of various transits, and other issues will be addressed. Please bring your own charts and an 21st century ephemeris. This is one of three seminars on Transits. The other seminars are Transits of Jupiter & Uranus and Transits of Saturn & Uranus. Joseph Polise, C.A. NCGR-PAA, has been an active practitioner in astrology since 1990. He is vice president of Chicago's Friends of Astrology and Education Outreach Chair of Professional Astrologers' Alliance. Join us for an introduction to the lore and magic of the runes, an ancient Norse-Germanic divination system. We will cover the basics about the runes of the Elder Futhark. No previous experience necessary. Please bring a set of runes if you have them, or rune sets will be available for purchase. This is one of three classes in the Lore & Magic of the Runes series with Kiel Milner. The other two are: Runic Divination - November 7; Bind Runes & Magic - December 5. Vitki Kiel Milner has been practicing runes for 20 years and is considered a rune master by the gods of this system. Read Lin's article on astrological interceptions in LFAC's Transcendent Journeys ezine. You are invited to join Ananda Lila (http://antarshanti.com/anandalila) in creating a healing musical ritual to celebrate the Summer’s End or Samhain. Let’s honor a time when the light of the sun, sustainer of life, wanes and move into the darkness of winter months. A turning point where the veil between the seen and unseen realms is thinnest, creating a shift in focus from the outer visible world to the inner unseen world. A time when our inner fire grows brighter allowing a potent opportunity for clearing and transformation. Come join us for a divine blending of Kirtan Chanting, Shamanic Ritual and Sound Healing. Together we will create a sacred space to honor our past and invoke our future. 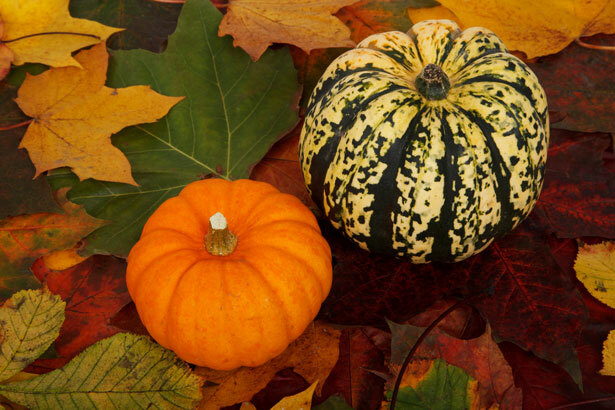 You and a guest are invited to LFA's Autumn Harvest Party! Make new friends or reconnect with old ones. Enjoy socializing, food, fascinating presentations and complimentary readings and healing sessions from LFAC's best practitioners. Admission is an LFA Annual Membership ($25 and up) that includes invitations to four Members parties and other Special Member events like these each year. Each healing session or reading alone would cost more than a membership, what a deal! Each student will apply what they have learned by working hands-on with the crystals to create a pendant or earrings as a charm for their own or another's healing. You will receive valuable handouts about planetary and chakra correspondences, crystals for aura protection, gem remedies for healing and more. Steven Blaine Adams is an artist and designer who works with natural materials like stones and crystals to create symbols with spiritual resonance. He is LFAC's store designer, and is on the curatorial committee for LFAC's art exhibits. Steve creates spirit-based jewelry, and has been a Tarot reader for 30 years. LFA has a growing need to hire a paid staff in order to continue offering the powerful and exciting programs that are our hallmark. LFAC presents an average of twenty events each month, creates four exquisite art exhibits each year, and publishes hundreds of articles in Transcendent Journeys ezine. So, we’ve come up with our Team LFA Campaign: fundraising to hire some of our most dedicated, currently volunteer staff as full-time employees. It’s simple: if 400 LFAC supporters donate $25 each, we will have made our goal! Click here for more details and to donate. Life Force Arts Foundation, Inc. (Approved Provider Number 451592-11) is approved by the National Certification Board for Therapeutic Massage & Bodywork (NCBTMB) as a continuing education Approved Provider. For complete calendar of events, please click here. Copyright © 2012 Life Force Arts Center, All rights reserved. You are receiving this email because you signed up on our sign-up sheet at LFAC or on our website.